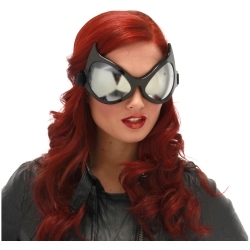 These black cat eye goggles are perfect for creating a number of different characters including a super hero or steampunk costume. The black cat eye goggles are colored as pictured. Goggles are one size fits most.